Sports and recreation can be environmentally friendly and very enjoyable. Parks and National forests are some perfect examples. People can enjoy the outdoors without harming it. With correct supervision outdoor sports like fishing and hunting and recreational activities such as hiking, rock climbing, biking, swimming, boating, camping etc. can be good for the environment. We do however have a responsibility to manage and preserve our delicate environment. Some types of outdoor activities have moved forward in protecting wildlife such as hunting where lead is being phased out. More eco-friendly materials are being used in order to limit wildlife exposure to toxic elements. Copper and other non-toxic metals are being used as projectiles instead of lead. Lead can cause many harmful maladies to wildlife when exposed or ingested. Fishing is another sport or recreation that has moved towards an eco-friendly arena. Sinkers or fishing weights were typically made from lead which is toxic to most wildlife. There are now lead-free sinkers and lead free fishing weights available. They’re called “Green” tackle. I would really like to see more fish farms being used to replenish our salt water fish that have been over fished for many years. 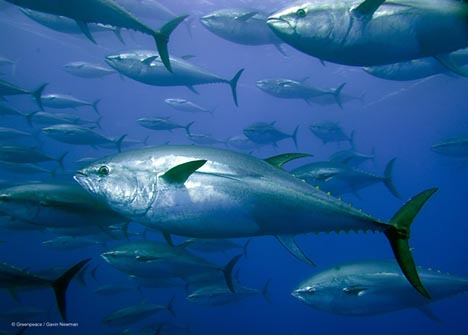 There are many species that are really low in numbers like the Blue Fin Tuna, Yelloweye and Canary Rockfish, Atlantic Salmon, Chinook Salmon, Sawfish and Swordfish just to name a few. We need to replenish the oceans before these fish disappear. Hatcheries should be built to hatch and raise the young before releasing them into the wild. We need to stock our oceans to maintain the species and prevent extinction. Many countries use fish as their protein staple. Without fish many countries would face serious food deficits. The oceans provide huge amounts of food for the world.